It’s no secret that it gets really humid in the southeast. We run our AC units long and hard keeping it cool and comfortable the entire summer. 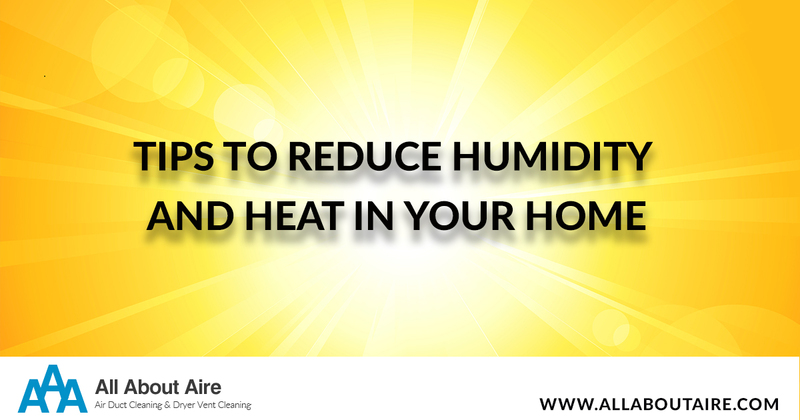 Here are some tips that can help keep the heat in the home lower and give your AC unit a break. A blast from the past. Hanging wet clothes outside to dry is an easy way to keep the dryer off and generating more heat and humidity than needed inside. If that isn’t your style, installing an exhaust fan to help move the hot air outisde is another easy way to beat the heat. When using incandescent light bulbs, as much as 90% of its energy is turned into heat. An easy switch is to use LED or CFL lights, which use much less electricity and maintain a cooler temp. Washing dishes by hand is an easy way to reduce heat and humidity. If you cannot avoid using your dishwasher, turn off the heat dry option and allow the dishes to air dry, this will help lower the temperature inside. We all love a good summer meal. Enjoy the weather and cook outside on the grill. Keeping the oven off will maintain a lower temperature inside the house while getting you outside to enjoy the beautiful summer weather. Learn more about Why Should I Clean My Dryer Vents? Contact us today online or at (864) 400-8229 to schedule your appointment. Next PostNext Are You Finishing a Remodel?